As part of our ongoing parent education workshops, PKS Xuéxí | PKS Learns, our Head of Preschool Simona Chongo and Oaktree (P2) teacher Cecilia Wang facilitated a session for parents focused on understanding children’s mathematical development in the preschool years, as well as key mathematical areas and concepts. 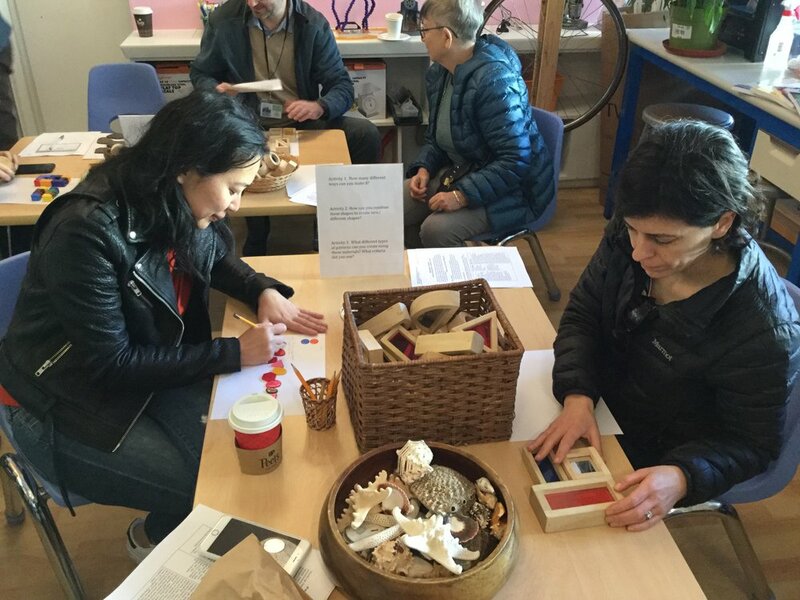 Simona and Cecilia Laoshi provided hands-on activities to illustrate how we teach math at PKS and what math learning looks like in our preschool classes, and shared resources for enhancing math learning at home. Our enthusiastic parent participants shared their own math learning and connected through their engagement with math activities. This experience inspired us to schedule another session for preschool families in the spring.